You can’t beat the thrill of a grip-the-edge-of-your-seat road race scene, and the third movie in the Cannonball Run series, The Gumball Rally, had some pretty sweet European autos vying for position. Although the 1976 film received lackluster reviews from movie critics and was dubbed a “forgettable movie”, the European cars it featured were anything but forgettable. Whether you’ve seen The Gumball Rally and it’s been a while, or you’ve never heard of it, put it on your to-watch list for the next time you’re in the mood for a movie. The Gumball Rally is about a motley group of auto enthusiasts who partake in a secret and illegal coast-to-coast road race across America. Prompted by a phone call from their mysterious leader and race coordinator, a bored but wealthy candymaker played by Michael Sarrazin, the race teams leap into action at his mention of the code word “gumball.” The race has one rule, “there are no rules.” The plot is wrought with unfortunately funny mishaps as the characters dodge the cops and engage innocent bystanders, deal with the crazy antics of their teammates, and maneuver through carefully coordinated stunts and chase scenes as they attempt to reach the finish line. It’s precisely these chase scenes that put The Gumball Rally on the map, pun intended. One of the chase scenes features an early 1970’s Ferrari Daytona Spider. Actually, it features two; the first, a 1972 (SN16467), the 71st of only 121 factory-built Daytona Spiders, which crashed during filming, was rebuilt, and went on to be used in the movie A Star is Born where it was heavily crashed again and later rebodied in a new style, a “NART Spyder”; and the second, a 1971 (SN14829), which replaced the first Daytona Spider and is still alive and well today. It was recently sold at auction in 2013. Once owned by Mel Blanc, the Man of a Thousand Voices (including the voice of Bugs Bunny), and his son Noel Blanc, the 1971 (SN14829) Ferrari Daytona Spider’s last known whereabouts are that it was purchased for $1.65 million by an unknown buyer at the August 16-17, 2013 RM Auctions in Monterey, CA. And if you remember the movie - yes, the rear view mirror has been replaced. No car on earth handles better than a modern F1 car. In fact, we have all pretended at one time or another to be a fearless race car driver, hurtling into and out of sharp hairpin turns with elegance and precision. Unfortunately most of us realize the limitations of our vehicle and only half-heartedly perform this day-dream. However, you can be one step closer to realizing this fantasy with performance-minded solutions from Star Class Motors. It some cases, suspension components have simply worn out with use & mileage. Or, you might simply want to upgrade beyond the OEM setup. In either case, we can help you sort through the options for your Mercedes-Benz or other European car or SUV. 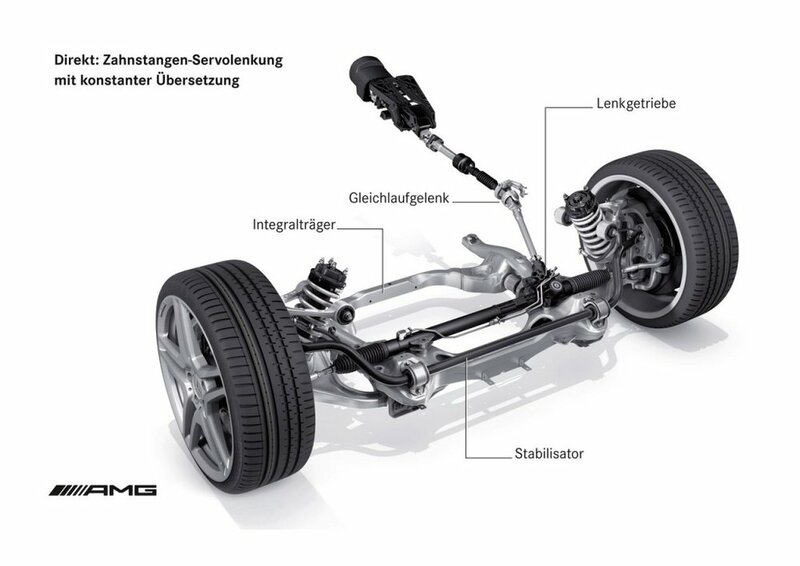 Upgraded suspension systems not only transform the stance of the vehicle, but also help maintain ride quality and improve upon handling. This is accomplished by pairing springs sets with bump stops, spring perches or both to maintain suspension travel resulting in a smooth ride while also improving mechanical grip and handling. Specifically if you drive a BMW, Dinan high performance spring sets and supplemental ride quality and handling kits will provide unprecedented handling & cornering ability in addition to lowering the vehicle into a much more aggressive stance. Serious enthusiasts turn to Dinan because they appreciate their ability to make BMW performance upgrades which outperform the rest. Star Class Motors is an authorized Dinan Dealer / Installer. Regardless of which European car your drive, we have the experience to help keep it on the road in the safest, most comfortable (and quickest) manner. Please contact us today to discuss your options. Improved Handling. CHECK. Incredible New Stance. CHECK. We have all pretended at one time or another to be a fearless race car driver, hurtling into and out of sharp hairpin turns with elegance and precision. Unfortunately most of us realize the limitations of our vehicle and only half-heartedly perform the day-dream. However, you can be one step closer to realizing this fantasy with a performance minded solution. The Dinan high performance spring set and supplemental ride quality and handling kit for the F85 X5M or F86 X6M provides unprecedented handling / cornering ability in addition to lowering the vehicle into a much more aggressive stance. 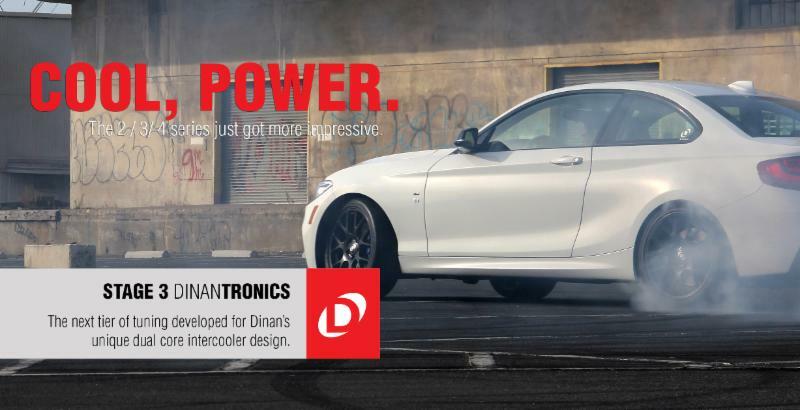 Star Class Motors is proud to offer Dinan performance solutions. At Dinan their passion for both BMWs and BMW parts is evident in their dedication to designing and producing the most innovative and performance driven BMW aftermarket parts on the market. Serious enthusiasts turn to Dinan because they appreciate their ability to make BMW performance upgrades that outperform the rest of the BMW aftermarket industry. Dinan’s Performance Spring set for the F85 X5M and F86 X6M provides greater control over body roll by virtue of carefully calibrated spring rates. Additionally, Dinan lowers the vehicle by a 5/8” in front and 3/4” in the rear for improved suspension geometry and an even more aggressive stance. The Dinan springs are CNC wound with high tensile chrome silicon wire and shot peened for stress relief to last the life of the car. The 10% increase in stiffness to the springs will reduce the rear suspension compression under acceleration and front suspension compression (or dive) under braking, giving your car a more controlled feel. The Dinan performance springs will also provide a noticeable improvement in grip, for high speed driving situations that will inspire confidence in your car’s capabilities. The reduced body roll makes the steering more responsive to driver input. NOTE: Dinan Performance Spring sets should be purchased and installed with the corresponding Ride Quality and Handling Kit to achieve the advertised ride height, performance, and ride quality. While not explicitly required, if the matching component is not purchased and installed you will get less than favorable results in the form of poor ride quality and improper handling traits. While we will maintain a full warranty on product defects, any claims against the car’s improper handling/ride quality traits due to not purchasing the corresponding handling kit will not be warranted. The desire/need for a track inspired monster for everyday street use has never been so real... at Star Class Motors we aim to please... With the upcoming release of the new Dinan Big Turbos for the F3x N20 and N55 engines the stage 4 DINANTRONICS Performance Tuner is now becoming available for applicable models. This stage of tune is specifically designed to optimize the top end power that comes inherently with an upgraded turbo. While in stock, and lightly tuned, configurations the engine tends to fall off rather dramatically after 5000-5500 RPM with the big turbo installed the the cars continue to make additional power all the way to red-line. This results in some very impressive maximum gains of up to 152 HP and 123 lb-ft of torque in certain instances. The DINANTRONICS Performance Tuner is a highly engineered and sophisticated piece of computer hardware and software that enhances engine performance, without negating or voiding your new car warranty coverage and without affecting long term reliability or the functionality of on-board diagnostic systems. It is also the only tuning device emissions legal in all fifty states. The ultimate objective of developing this piece of technology was to provide the ability to control every signal entering and exiting the BMW factory Engine Control Unit. These items are unique to Dinan and together they embody the apex of performance engineering in a powerful, reliable, and warrantied package. We'd like all of our loyal customers to know about our newest service – secure, climate-controlled storage. Star Class will wash and vacuum your vehicle before moving it into storage. We will also keep the battery tendered and the tires aired up. Whenever you need your vehicle, simply give us 24 hours notice – we’ll wash and have the car ready for pick up or delivery. All for the cost of only $200 monthly. Space is limited so reserve your space today! It’s official – winter’s here in Nebraska. After the recent snow, we can’t deny it. Although snow may look pretty, it’s not the most fun to drive in. Star Class Motors can help to make driving your luxury vehicle in the Omaha area this winter a little safer, and maybe even enjoyable. #1. Invest in Snow Tires NOW! The biggest recommendation we have for enhancing your winter driving experience is to invest in a set of snow tires. Snow tires, also called winter tires, definitely live up to their name – most snow tires claim to cut the distance it takes to stop in snow down to half the distance. This is because they’ve been specifically designed with a softer compound of rubber making them “stickier,” which is good for grabbing cold surfaces. They also have more traction than all-season tires because they have more tread depth. The best part: there isn’t much of a cost difference; they cost about the same as a quality set of all-season tires and they don’t really affect your luxury vehicle’s MPG either. You don’t want to leave them on all year, though; the rubber is much too soft for warm Nebraska summers. Star Class Motors has a tire rotation program in place where we’ll not only switch out your vehicle’s tires, but offer first-come first-serve storage space for the off-season tires when you’re not using them. Our preferred brands of snow tires are the Bridgestone Blizzak, and the Michelin X-Ice, which are the highest rated on the market. On another note: let’s talk about All Wheel Drive (AWD). There seems to be a bit of confusion on the best use for it, so let us offer some clarity. AWD can be found in many luxury vehicles and can be a great tool when you’re trying to get going on a slick surface or make it through a few inches of snow. The downfall is that it won’t improve your vehicle’s steering or braking. In fact, it can still take a good distance to stop in slick conditions, especially with all-season tires. That’s why, if you ask any of the Star Class Motor techs, they’ll recommend snow tires over AWD any day! And, having both would be even better. In addition, two of the most important details to have up to par are your wiper blades and washer fluid. If you can’t see or have a way to clear your window, you should not be driving! Too often, these details are overlooked until you’re already on the road. In very cold or inclement weather, you should always check your wipers and washer fluid before you hit the road. Check them while you’re still in the driveway or parking space. Don’t just check to make sure they work, though. You should also look for signs of wear like subtle cracking. This could mean that your wipers are getting dried out and won’t work as well as new ones. If you need to replace your wiper blades, Star Class Motors usually recommends Bosch or Trico, but most brands will get the job done. It’s a small expense to change them out, especially if you do it yourself, but the benefits are worth it. Windshield wiper fluid is also important, but beware–don’t necessarily buy the least expensive one on display. Some washer fluids won’t help in colder temperatures and, if you read the fine print, say “Summer Formula.” Look for one that gives a temperature range; Star Class Motors recommends a 30-degree-below formula. Face it, there are few things worse while driving than getting caught in the rain or snow, or having some other vehicle splash your windshield, and not being able to clear it completely. Antifreeze, also known as coolant, is also crucial. It serves three purposes: helps the water stay in liquid form as opposed to boiling over or freezing, lubricates your water pump, and cools down and dissipates the heat made by the engine (where the term “coolant” comes from). Antifreeze is a mixture of propylene glycol and water, and it must remain within a certain ratio to work well. If there is too much water in the tank compared to the amount of propylene glycol, the tank could freeze in cold weather and cause major problems for your engine. Excess water can occur if you’ve recently had a leak fixed or came from a warmer climate, so, checking this is very important. There’s a special tool most shops have, including Star Class Motors, which can measure the amount of water in the coolant system. Keeping your levels up is another area you can DIY. Most stores will sell either premixed, or, if you’re up to it, full strength antifreeze which you can mix with water yourself. Star Class Motors uses Peak Antifreeze because it mixes well with any other type of antifreeze that might already be in your tank. Another great service Star Class Motors offers, and most don’t think about when it’s cold, is a thorough car wash, including the underbody. In most of the Midwest, the road crews use salt and other road compounds to keep the roads from becoming slick and helping to melt anything frozen. These are great for the roads but not for your luxury vehicle. If not taken care of, it can cause rust. Star Class Motors recommends a weekly car wash, including the underbody, to help maintain your vehicle’s exterior. The final point we’d like to make is one that always seems to be questioned: Is warming up your vehicle important in the winter? The short answer: YES. Warming up your car not only makes it comfortable for you, but helps your car bring the fluids to top running temps; the oil flows better, fittings and plastics will wear more easily, and your car will drive better overall. Just like an athlete wouldn’t compete without warming up, neither should your luxury vehicle. This is especially crucial for BMWs with a crank shaft – driving without warming up first can cause huge problems otherwise. Star Class Motors wishes you safe travels this holiday season across Nebraska and the Midwest this winter! Adding More Power Without the Fear of "Heat Soak"
With the release of the new Dinan dual core intercooler the stage 3 DINANTRONICS Performance Tuner is now becoming available for applicable models. This stage of tune is specifically designed to optimize the intercooler efficiencies. With its main purpose to extend the increased power band throughout the entire boost rev range, not just the upper RPM spectrum as what naturally happens without the tune and just the intercooler. What this means is that a more linear and extended power delivery can be achieved to go along with the dual core intercooler's inherent temperature and pressure advantages. We here at Star Class Motors are proud to offer Dinan performance solutions. At Dinan their passion for both BMWs and BMW parts is evident in their dedication to designing and producing the most innovative and performance driven BMW aftermarket parts on the market. 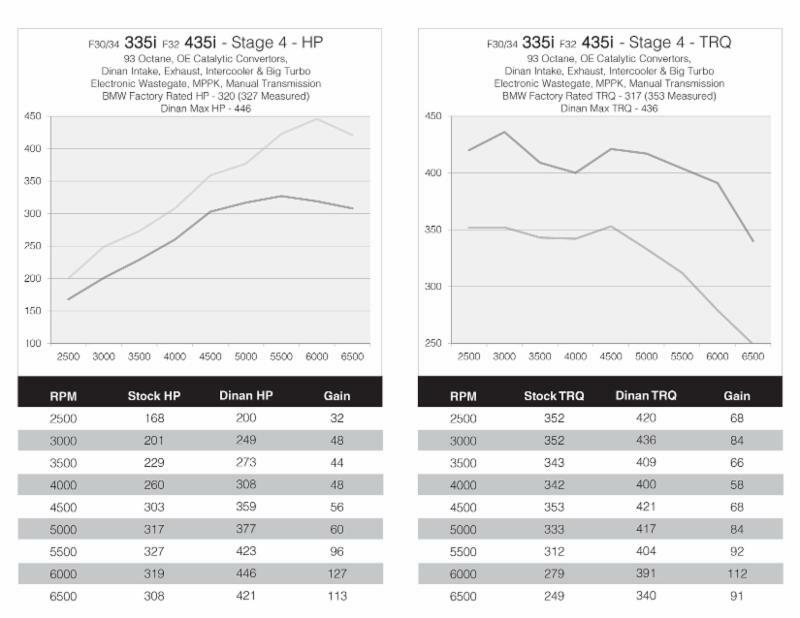 Serious enthusiasts turn to Dinan because they appreciate their ability to make BMW performance upgrades that outperform the rest of the BMW aftermarket industry. When customers want performance they turn to Dinan first. Contact Dane at (402) 932-7827 or by email here for more information or ordering details. The DINANTRONICS Performance Tuner is a highly engineered and sophisticated piece of computer hardware and software that enhances engine performance, without negating or voiding your new car warranty coverage and without affecting long term reliability or the functionality of on-board diagnostic systems. It is also the only tuning device designed to be emissions legal in all fifty states. The ultimate objective of developing this piece of technology was to provide the ability to control every signal entering and exiting the BMW factory Engine Control Unit. These items are unique to Dinan and together they embody the apex of performance engineering in a powerful, reliable, and warrantied package. Every Dinan® product comes with industry exclusive factory matching new car bumper to bumper warranty and is designed and tested in Morgan Hill, California and can be purchased and installed at Star Class Motors, an authorized Dinan Performance Center.